The previous record had been set by singer and vocal coach Adam Lopez, who in 2008 managed to produce a D8 measured at 4,435 hertz, or three semitones above the highest note on a standard grand piano. 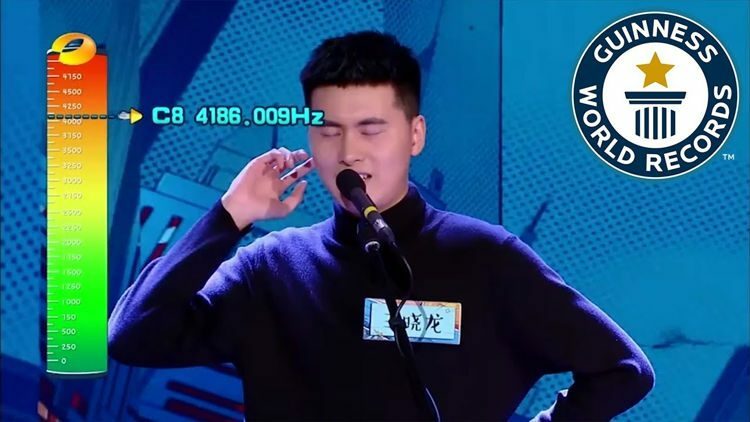 Wang’s E8 sound was reportedly a half step higher than that of the Australian singer’s. Wang’s impressive performance was recorded in January, on the Chinese television show Happy Camp. His incredibly high pitch was measured using professional sound equipment and acknowledged as a new record by a certified Guinness judge.